We have hundreds of thousands of Worldline customers across the country, but I bet no more than a handful of them have heard first, that Worldline is the residential brand of a company called Fibernetics, and second, Fibernetics has a business services division named NEWT™. Not the John Cleese version, but our little green guy is on the logo on our hardware, like this thing called the NEWT™ Managed PBX. What this teeny little machine does (it’s about the size of a paperback) is get rid of business’s huge, clunky, outdated energy sucking, costly phone systems and instead provides them with an easily managed voice solution, that doesn’t require a team of IT guys to keep it running. Cooler still, they run it from their desktops using a console application. 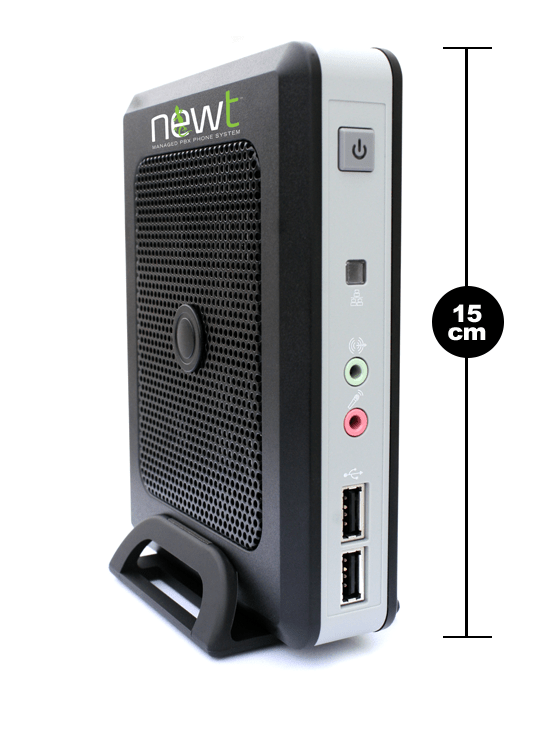 Packed with over 60 features, the NEWT™ Managed PBX provides startup companies with a big company presence, and big companies with multiple locations a completely scalable system and one that saves them up to 80% on the telco bills. Canadian green energy leader Bullfrog Power just switched over to the NEWT™ Managed PBX because of all of the above, and the power consumption for their install is about the same as running one 60 watt light bulb. To give you an idea of what that means, an old style phone system, like Nortel’s Meridian with a similar configuration uses 26x the electricity to run. 80% savings on telco bills and 26 times less power. That’s the NEWT™ Managed PBX. If you’re interested in outfitting your company with this cool little guy, you can get more details here. This entry was posted in Uncategorized on April 23, 2013 by newt@fibernetics.ca.